Tootsie Bell has created custom jewelry and repaired a variety of silver items since opening her business Tootsie Bell silversmith/jeweler in 1995. From an 1,100-square-foot studio in East Memphis, Tootsie Bell operates a rare business. 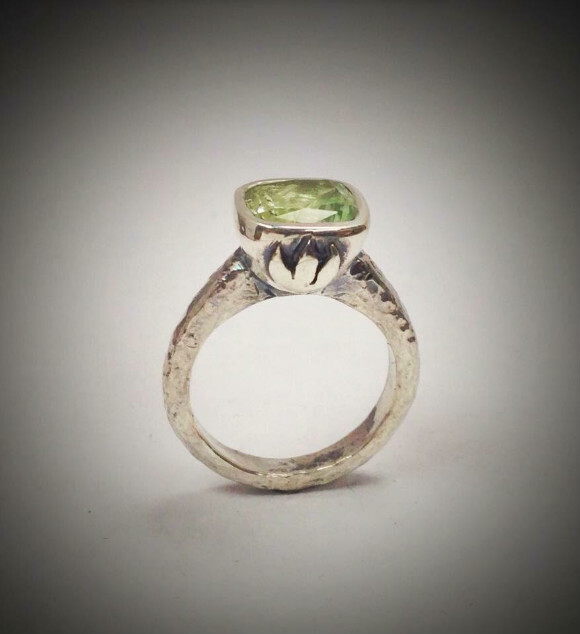 Bell isn’t the only custom jeweler in the city, but she is possibly the only person with a focus on silversmithing. She opened Tootsie Bell silversmith/jeweler in 1995. That restoration and repair work can range from a spoon caught in the garbage disposal to dented teapots. Repair work includes solder breaks, replacing missing parts, removal of engraving, repairing leaks, lacquer removal, oxidation and more. Bell is original from Senatobia, Mississippi. She moved to Memphis in 1983 to attend Memphis College of Art. She would eventually graduate with a bachelor’s degree in sculpture, but while at school she got a part-time job at a jewelry store repairing old silver. Even though her training was as a sculptor, Bell said she quickly developed a love of silver and jewelry repair. After graduation Bell focused on developing sculptures using woodworking. She also continued working part time restoring silver and teaching herself much of what was necessary to repair the items brought in. "Respect" is a 25-foot stainless sculpture of steel and brass. It was installed in the Legends Park housing development in 2013.Then in 1995 she took the plunge and opened her own business specializing in silver restoration and custom designs. In her East Memphis shop at 4726 Poplar Ave. there is a small showroom in front with cases filled with her custom jewelry. In back there is a much larger studio where Bell works. From time to time Bell revisits her first love of sculpture through public art commissions. She was chosen to create bike racks at the Memphis Brooks Museum of Art and a wooden playhouse at the Memphis Botanic Garden. She also recently completed the second phase of large stainless steel sculptures at Legends Park. Legends Park sits on the land that once was the public housing complex Dixie Homes. 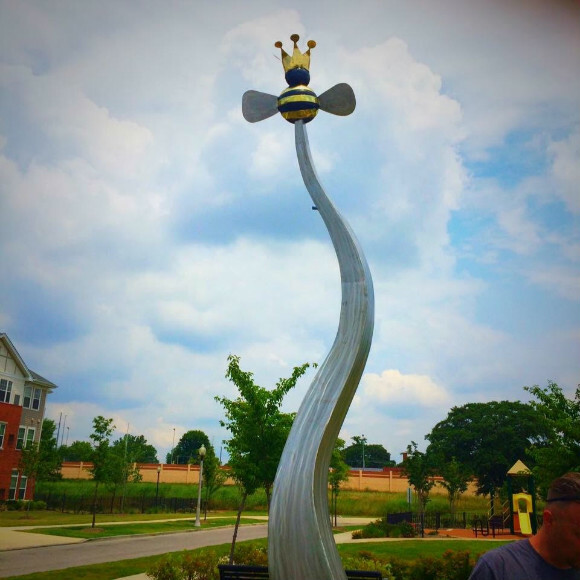 Bell’s sculpture is a large queen bee flying around a baseball bat, images that pay homage to the history of the property. The Queen Bee Bayou ran through the property and four brothers who had businesses at Dixie Homes went on to be founding members of the Memphis Red Sox baseball team. While that work isn’t technically part of Tootsie Bell silversmith/jeweler, it is part of what Bell is as an artist. 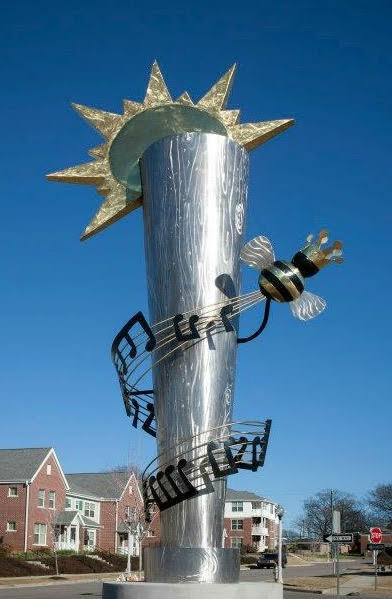 "Lyrical Bees" at Legends Park is the 2016 counterpart to Tootsie Bell's "Respect" sculpture. 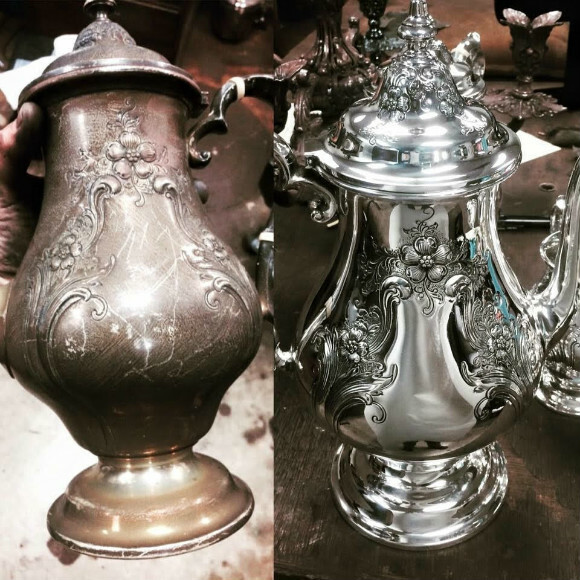 Anyone in Memphis who has silver repair work done likely is familiar with Bell. That’s because while there are blacksmiths such as the Metal Museum that can do some of the work she offers, that high-heat work isn’t as gentle enough for fine silver repair. Elizabeth Scott has bought various items from Bell through the years. Tootsie Bell silversmith/jeweler is located in the Poplar Village center just west of Colonial Road in East Memphis. The small strip of shops with various small entrepreneurs has been a good place to call home for the past 11 years. Before that, Bell operated her business in the former Oak Hall building. “My whole adult life of being in this business I’ve been in maybe a two-block radius of this area,” she said. The location is central in the city and to many of her customers, who typically live in Midtown, East Memphis or Germantown. Because silver is an older tradition, Bell is concerned about the future. Collectors do play an important part in her silver business. Jewelry customers typically want something special made that they can’t find at many stores. In fact, this is one way she’s able to tap into a younger clientele.